“Head 2 Head” is back! Last month, President Trump launched a coordinated strike on Syria. Op-ed editor Mitchell Smith and Staff Writer Victoria Sponar mince words over whether or not the attack was necessary. Read on as your favorite conservative and liberal battle it out! 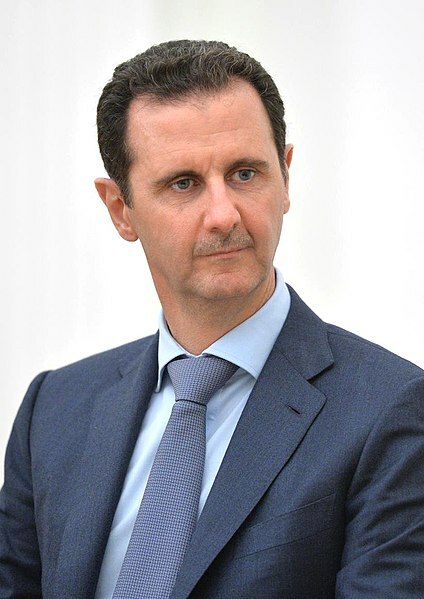 President Bashar Al-Assad of Syria. President Assad has been at the head of a brutal regime, and President Trump is taking action. On April 13, the United States, along with European allies, launched an attack on Syria. The attack was a direct response to a chemical attack near Damascus that killed 40 people, believed to be ordered by Syrian President Bashar al-Assad. Britain and France joined the United States in the attack to show resolve for what British and French leaders call constant violations of International Law. President Trump described the attack as the beginning of a sustained effort to force President Assad to stop using chemical weapons. The decision to strike Syria was one that was needed. “The strike hit three targets: a research center in Damascus that was used in the production of weapons, and two chemical weapons facilities west of Homs, one of which was used for the production of the nerve agent sarin and the other was part of a military command post,” Gen. Joseph F. Dunford Jr., the chairman of the Joint Chiefs of Staff said. This is not the first chemical attack on Syria. For years, Syrians have been victims of several chemical attacks. President Obama’s administration was seriously weak on the regime’s chemical attacks, only going as far as issuing a redline warning to President Assad. The attack sends a message to President Assad that his use of chemical warfare will no longer be tolerated. Unlike President Obama, President Trump will no longer appease Assad’s regime. This attack not only sends a message to Syria, but to Russia and China as well. 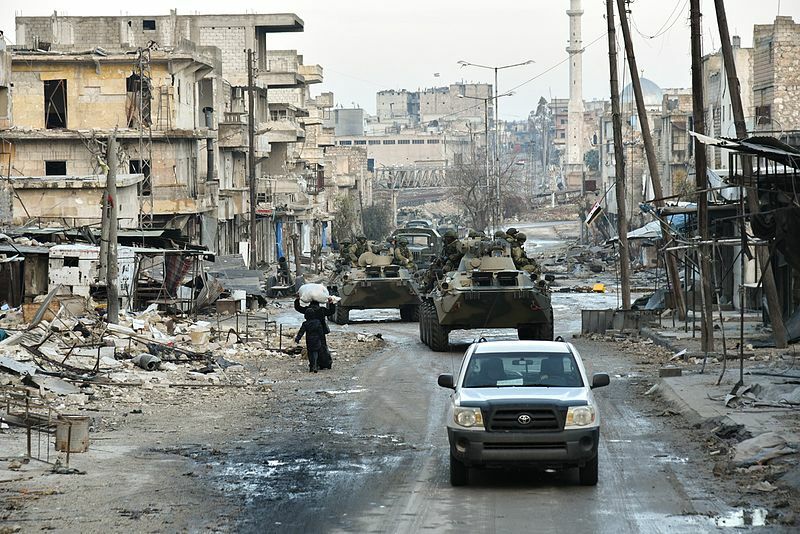 It is well known that Russia has long-term interests in Syria, such as military bases and weapons contracts. China has very close trade links with Syria as well. President Trump let China and Russia know that he was not afraid of serving justice. President Trump, along with France and Britain, sent a message — Western Democracy will no longer tolerate Assad’s ruthless regime. 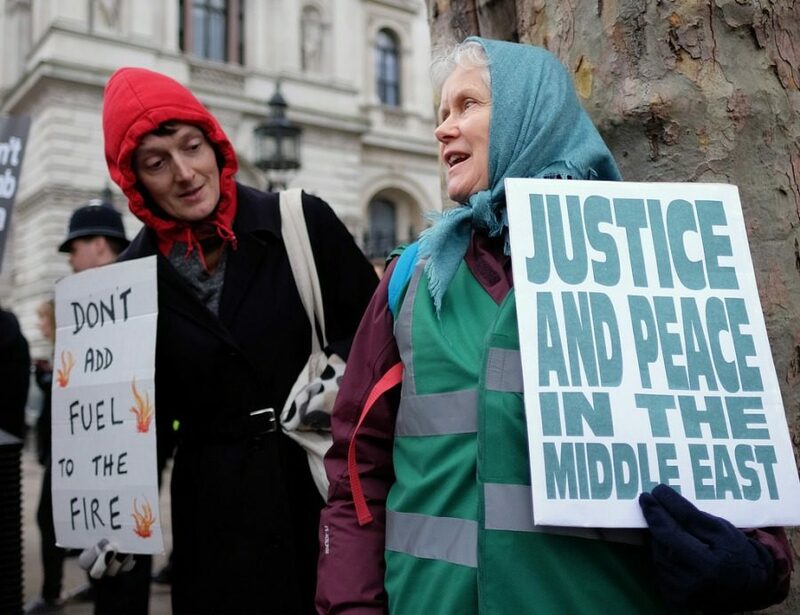 Universally, thousands of people protest for peace and for countries like the United States, France and the United Kingdom to stop bombing an already suffering Middle East. On April 13, the United States decided to join France and the United Kingdom in bombing Syria in three different targets without congressional approval. This, with sadly no surprise, was announced by our President through his favorite outlet to let out important political information: Twitter. In his tweet rampage, the “Gas Killing Animal” is also known as the Syrian President Bashar Al-Assad, who was accused of murdering 42 children and adult citizens just outside of Damascus using chemical weapons. This attack is what led Trump to decide to bomb Syria a week later. Trump’s decision in attacking Syria was unprofessional, immature and completely inconsiderate. Since 2011, the innocent civilians of Syria have been suffering through unceasing war and terror. They have been said to live a ‘life worse than death.’ This country has also been in a civil war for seven years. The fighting is between soldiers who are in support of Assad, the revolutionists known as rebels who are fighting for Assad to step down from power, and a group that calls themselves the Islamic State. Other outside supporters have involved themselves with this war, transforming the situation into an even more complicated one. Turkey, Saudi Arabia and the United States support the group against the current Syrian government, while Russia and Iran are the Syrian government’s most essential supporters. Instead of using more peaceful and less lethal methods, the United States is only creating more chaos and havoc for these people that have nothing to do with their government’s ruthless actions. Bombing is part of a continued pattern that only brings more violence in the Middle East. Whether or not the United States will continue intervening, there is one thing that needs to stay clear: bombing is not the solution. As of now, it is not clear what the attack accomplished, and all the collateral damage that this has caused on this innocent civilians of Syria is not worth it. Fighting fire with fire will never lead to a good or peaceful solution.